Untitled (Conversion), 2013. 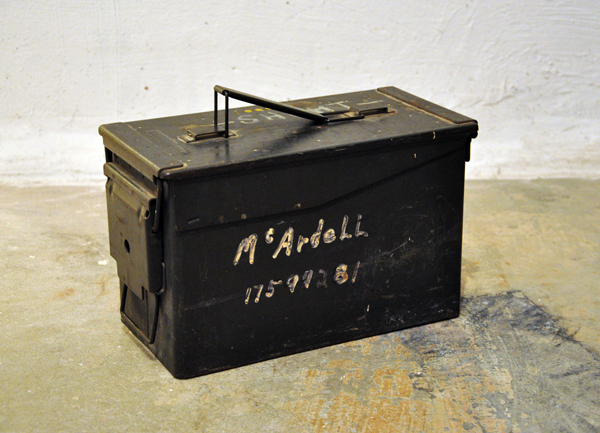 Vintage US Army Ammo box with iPhone playing the sounds of a jet plane. >> New essay on the artist by Paul Stufkofsky. >> Interview with the artist on gamescenes.org.